Ask PW: What’s an inspection contingency clause? My family is searching for a villa to purchase. How can I ensure that the property is in good condition before purchasing it? To confirm that the property does not have any major defects, you should have a property inspection completed by a licensed inspection (snagging) company at your own expense. Be sure to include an “inspection contingency clause” in the real estate purchase contract. The contingency clause should state that the purchase is subject to an inspection and a report produced within an agreed number of days (request a timeframe from the inspection company), and that if the parties cannot agree on a resolution of any major property condition issues that arise from the inspection, the contract becomes null and void and the deposit will be returned to the buyer. I am new to Dubai and the real estate market. I have heard that there are limits in time and location to property ownership. Please explain further. There are two types of property ownership in Dubai: freehold and leasehold. Freehold title is ownership of the both the land and the structure for an indefinite period. Freehold property can be sold, leased or devised (left to heirs by will) freely by the owner. Leasehold title is ownership of a temporary right. In Dubai, this is a period of 10-99 years. The leasehold title owner can sell or devise the interest for the remaining balance of time in the leasehold agreement. For both freehold and leasehold, UAE and other GCC nationals can hold property anywhere in Dubai. Other foreign nationals are limited to designated freehold areas. There are currently around 50 designated areas. Licensed brokers are familiar with these areas and can help you find a suitable property. My tenant’s rent cheque bounced. He promised to pay the following week, but that was over a month ago. How do I evict him? Under Dubai’s tenancy law, you are entitled to evict a tenant for non-payment of rent. To do this, you must first serve a 30-day notice via the notary public or registered mail. However, since some registered mail notices have been successfully challenged in the Rental Disputes Centre (RDC), it is recommended you send eviction notices through the notary public. If the tenant pays the rent within 30 days of receipt of the notice, you are no longer entitled to pursue an eviction against him. If he has not paid in that timeframe, you must file a case in the RDC to proceed with the eviction and claim the unpaid rent and court costs. We would like to sell our villa. Is there a limit to the number of agents allowed to list a property? 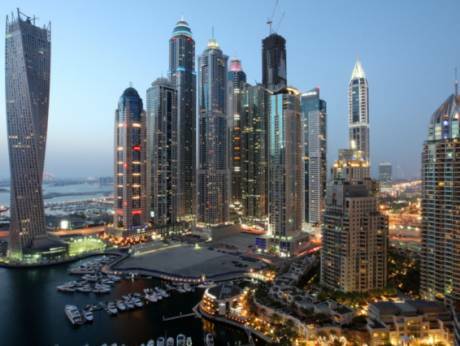 Dubai real estate regulations do not limit the number of brokers. That being said, it is better to list your property exclusively with one broker. Brokers generally put more money and effort into marketing a listing that is exclusive. This will likely result in a faster sale and higher price. Also, remember that using multiple brokers will result in multiple phone calls, messages and emails for you to deal with. If you are not comfortable signing an exclusive listing agreement with one broker, try limiting it to two to three brokers.